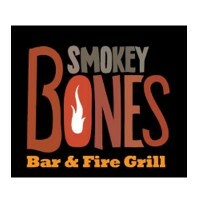 Smokey Bones is a place that stands on firm beliefs about great food, great drinks, and an amazing dining experience. The restaurant is the place for loud music, enthusiastic sports fans and adventurous spirit. This restaurant chain is currently under Sun Capital Partners, which is owned by Barbeque Integrated Inc. Their headquarters is located in Aventura, Florida. The first restaurant was established in Orlando, opened in 1999 and was then owned by Darden Restaurants, Inc. The chain continued to grow over the years. By August of 2015, the chain was operating 66 restaurants in various locations in 16 Eastern US states. Each employee receives competitive salaries, based on current prevailing rates in the industry. There are meal discounts, paid time-off, health insurance, referral program and exclusive savings on hotels, tours, theme parks and the like. People love working within the Smokey Bones’ dynamic, exciting environment. This company also offers equal work opportunities. All employees get a chance to move up the career ladder as there are many internal career growth opportunities. Most entry-level positions have a minimum age requirement of 18 years old in order for an applicant to qualify. Certain positions, such as in management, is looking for someone older and with additional qualifications. The company is always on the lookout for talented, passionate individuals who can contribute to the restaurant’s lively, engaging and fun atmosphere. Job positions range from entry-level to management positions. Line Cooks and Preps: These are entry level jobs called Firestarters. They get the fire going to grill delicious foods. The Firestarters infuse excitement and energy, manning the grill excellently. This position is at the core of giving guests quality meals and a great dining experience. Firestarters may be asked to perform other duties in capacities that contribute to the organization’s ongoing needs. Server & Greeter: This is an entry-level position that functions right at the core of delivering customer service. The Server/Greeter meets the guests as they enter the restaurant, welcoming them with a smile and friendly, helpful attitude. They are the brand ambassadors of the company. Servers/Greeters infuse their own individual personalities and skills in delivering a memorable dining and social experience to every guest. Bartender: As another member of the Firestarters, the bartender isn’t only a drink-prep person. The bartender also infuses personality, energy and enthusiasm in the service to deliver not just awesome drinks but an amazing experience to guests. The company stands on its belief that the bartender’s can add flavor to the drinks through their interactions with guests. Dishwasher: Food and drinks need to be delivered on clean plates and glasses, with clean utensils. The grill, equipment and other implements must be cleaned well for safe food preparation and to meet the health inspection standards. The cleanliness of the kitchen area, stock area, dining area and work stations are also under this position’s responsibilities. Purchasing Specialist: Every great food delivered to guests depend on the Purchasing Specialist. This position is responsible for checking, managing, tracking, evaluating, and ensuring that stocks and supplies come from the best sources, always fresh, top quality and on time. Inventory is checked and maintained, as well all other documentation procedures regarding stocking, inventory, shipping and audit. Catering Sales Manager: The Catering Sales Manager works with operations and marketing teams in building non-traditional dining programs the restaurant is known for. Marketing strategies are also under this manager’s duties. This includes identifying target customers then presenting ideas on how to better cater to their needs. Contract negotiations and deal closing, then execution of the orders are directly handled by this position as well. Restaurant Bar Manager: This is a rewarding position that oversees all activities at the restaurant’s bar. The restaurant’s important feature is the bar. The Bar Manager sees to it that everything they produce is of excellent quality. For this, the Bar Manager supervises all team members to meet goals. Stocks, equipment, inventory, sales, documentations are also part of this manager’s duties. Restaurant Kitchen Manager: This position is part of the food service management item. The roles of the Kitchen Manager are more Back-of-house and includes preparation of the restaurant’s signature food items such as fresh menu items and in-house smoked meats. This job requires closely working with the restaurant’s culinary specialists and the Executive Chef. Restaurant General Manager: This is the lead person when it comes to the daily restaurant operations. This includes overseeing every activity, from food prep to customer service. Staff concerns, including tough HR issues are handle by this position. Strong leadership skills with passion for great customer service and excellent food, and strategic marketing skills are required for this job. Real Estate Development Manager: This position is responsible for everything related to putting up new restaurants in different locations. This includes careful research, development and management of market strategies. These will be applied on developing and executing opening goals of new stores. Results and findings, as well as recommendations are then submitted for approval to the company’s executive team. Search the job postings on the website, under the Jobs page. Click the job you’re interested in. The page will show the different job responsibilities. At the bottom is a red Apply button. Click this to open the application page. A page would then open informing the applicant to answer a few questions and register with the site. After a successful registration, the applicant will be able to access the application page. Enter pertinent information in the appropriate fields. Basic information given should be accurate. Provide an email address because this will serve as an important communication channel about the application’s status. Upload a resume together with the filled-up online application form. Make a concise, comprehensive resume. Put skills and experiences, especially ones that are related to the job applying for. The company will contact the applicant for an interview schedule. Wait for this communication. The company does not entertain phone-in inquiries about application status or interview schedules. The company puts a huge weight on their Firestarters, recognizing their position as one of the keys towards creating a memorable dining experience for patrons. As they regularly interact with customers, their insights contribute to creating a place people want to work inas well. Great food and great service make good news. The company has some newsworthy activities that promote fun and sense of community, not just food. Some of these include the Annual Nationwide Burger Battle for Charities. Smokey Bones is the place for exciting grilled food experience. It’s a casual bar and grill dining spot with fire-grilled foods, barbecues and refreshing beverages. Great food and drinks are served by friendly, outgoing staff, enjoyed in an exciting atmosphere. The company has been part of many social events in the past years. It holds special events and promos in honor of Veterans Day. They also partner with several charities through the Smokey Bones & Fisher House Foundation. 1 How old do you have to be to work at Smokey Bones?